Think of Lakshmi Pratury and the powerhouse is pretty much synonymous with the famous annual INKTalks Conference which brings together notable people in different fields in the name of productive storytelling. 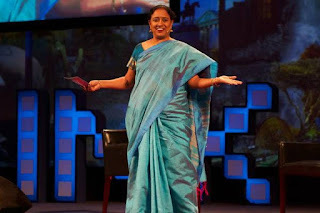 The Visakhapatnam-born entrepreneur is a natural orator, her tone friendly and self-assured while remaining relaxed and conversational in her demeanour. This is no surprise as she speaks with me over the phone ahead of INKTalks’ first official Hyderabad conference titled ‘Billionaires of Moments’ which takes place from November 30 till December 2. In 2017, at the Global Entrepreneurship Summit, the organisation held some talks here, but as an entity, this is their first crack at Hyderabad. Frankly speaking, the term ‘conference’ is far too formal and stiff a word to describe the dynamism of INKTalks. Lakshmi is excited to share the experience with a city blooming with new ideas on the daily. From the very beginning, Lakshmi has understood the value of storytelling, despite it being an age where microblogging of Twitter and Instagram is all the rage. The self-proclaimed ‘people collector’ is proud of the number of storytelling bodies sprouting all over the country and the world. “Looking back upon everything I’ve done in my life — from working in venture capital, technology and so on — what I’ve enjoyed the most is storytelling,” affirms Lakshmi, “Not me telling stories, but getting people to tell their stories. Secondly, especially in India, there are so many stories waiting to be told. I like to apply what I’ve learned to different things and to storytelling. I’ve told stories of unusual technologies in the 90s, which we now talk about wireless and so on. We’ve also covered the intricacies of Indian philosophy. So we’ve seen the effect of great storytelling and of inviting people to tell great stories. 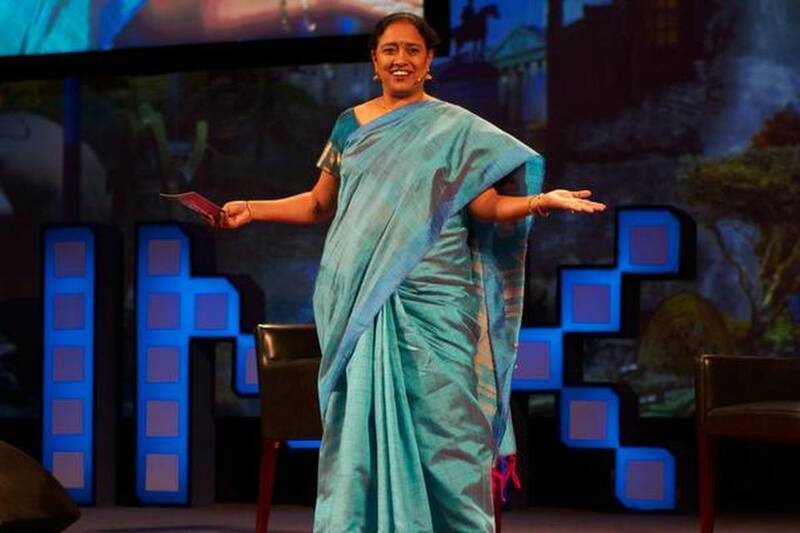 So why not use the same principles of storytelling but widen the scope and bring international storytellers to India to inspire young people to do more and do differently?” Lakshmi owes the power and success of good old organic storytelling to the means of communication. Sneha Khanwalker, the music director who has composed for films like ‘Gangs of Wasseypur’ and ‘Manto’ among others. Aparajita Jain the co-founder of Delhi’s most avant garde art space, Nature Morte, showcasing names like Subodh Gupta, Jitish Kallat and Anita Dube. Jonathon Reiber, head of Cybersecurity Strategy at Illumio, who previously advised the Pentagon leadership and led initiatives across the cyber-policy portfolio, to include strategic planning, key inter-agency and industry partnerships, and strategic communications. Leanna Chukoskie, director of the Power of NeuroGaming (PoNG) Center at the Qualcomm Institute, working to understand the human brain through gaming, to aid children with developmental and learning disorders.